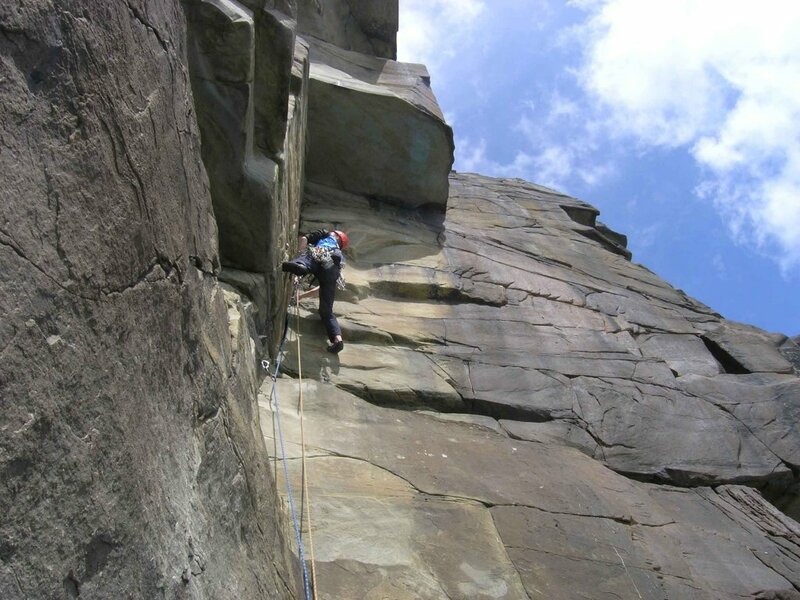 This crag offers great climbing on hard and solid sandstone. 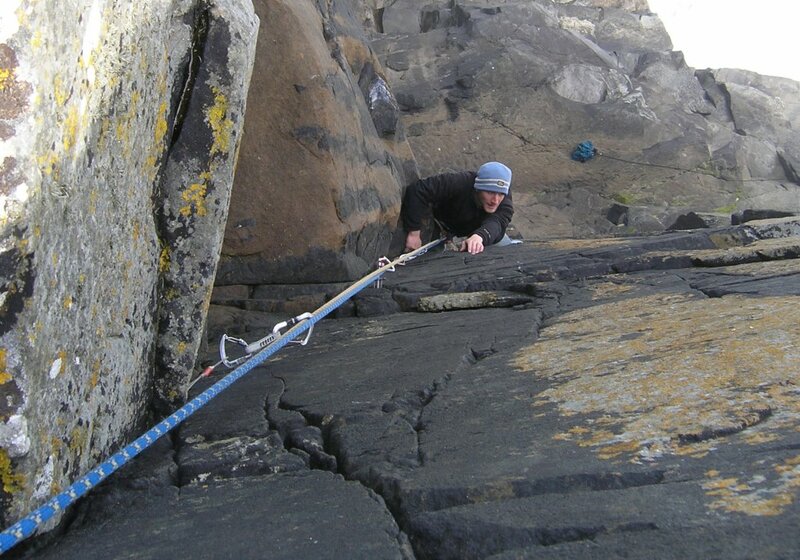 Routes up to 35m are usually much harder than they first appear! 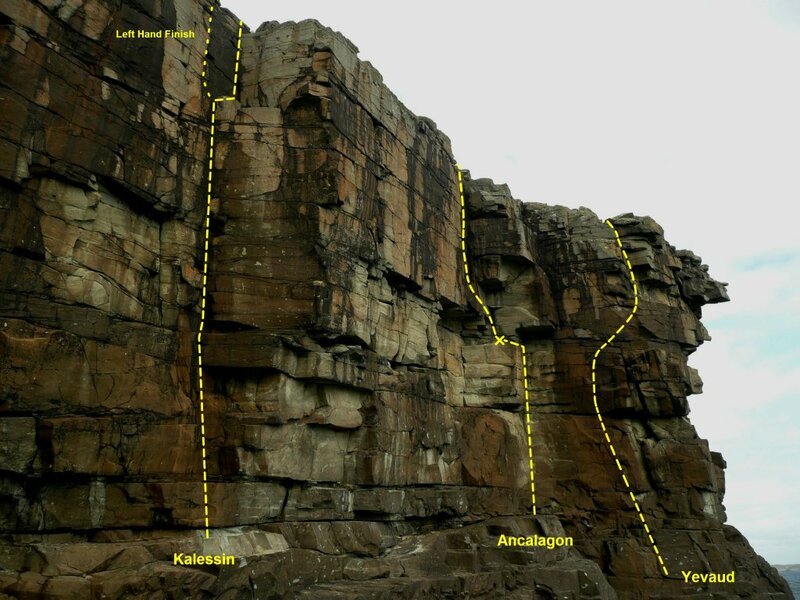 There are a few sectors here and much more potential at the crag for hard new routes. Park at Troswickness (HU 409 172) and head 600m South-East to the crag south of the large inlet. 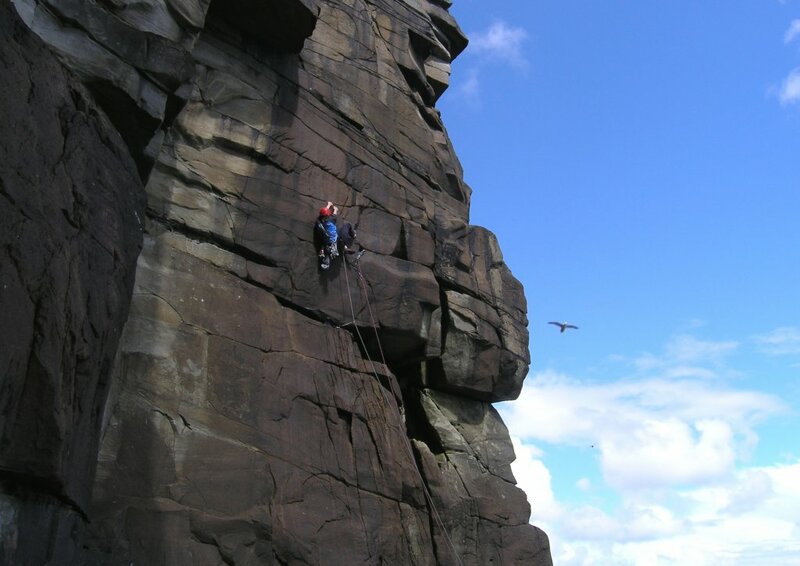 Abseil to ledges below. To add a photo use the uploader in the right sidebar. Make sure you include Fogla Taing in the photo description so it gets added to this page. I bottled it on Ancalagon of Morgoth escaping up a v wet but still excellent Spyro instead. Other members of the party had their own fun and games on Kalessin which they felt more E1 5c. Interesting to note your comments on the grades. The crag is a bit unforgiving. As it happens I was initially aiming for the line of Spyro which was unclimbed at the time and left for Ancalagon looked easier. 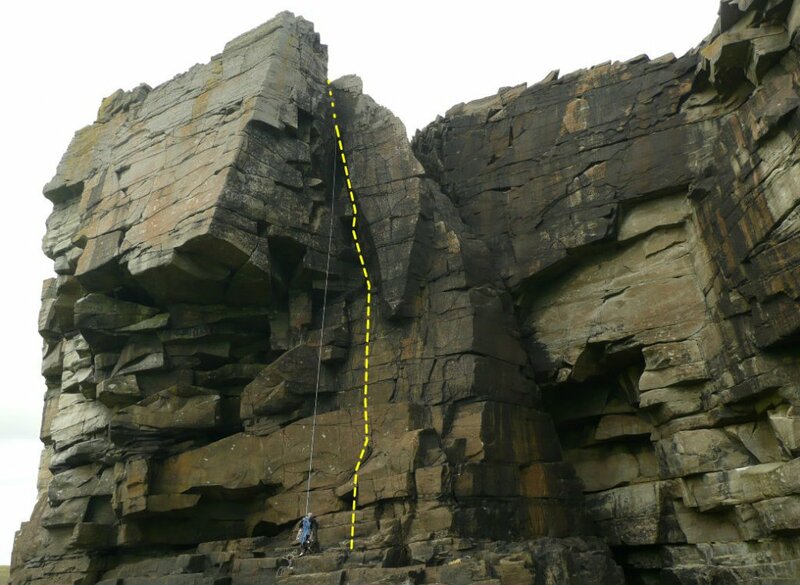 I’ve made a few ascents of Kalessin now and would still put this as a tough HVS 5a so surprised by the E1 5c. The gear is there and I guess it comes down to finding the right sequence straight off. If you go for a direct start up the initial corner then E1 5c sounds about right, a cunning leftwards deviation at the start brings it down to a solid HVS 5b. Interesting to note your thoughts on the grade of Glaurung Martin. 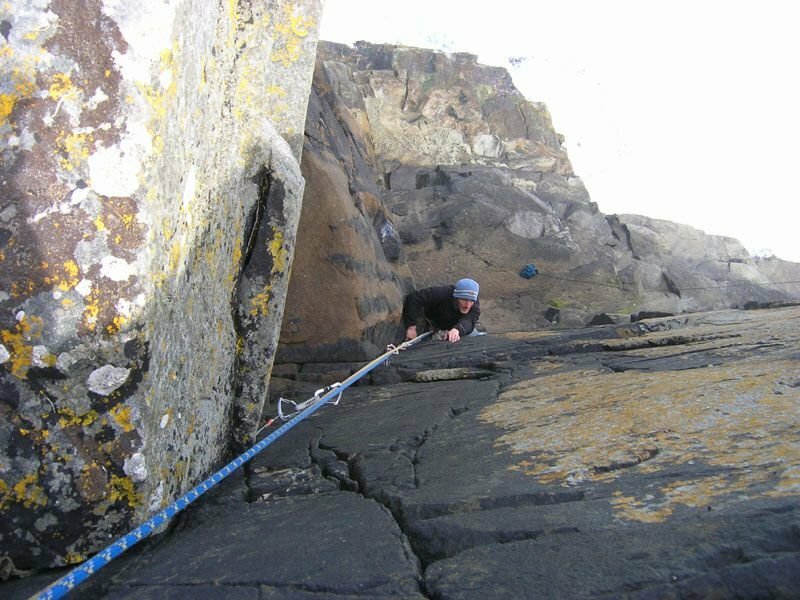 When I made the first ascent in 2007 I gave the route E2 5b, although my second thought I may have undergraded it. 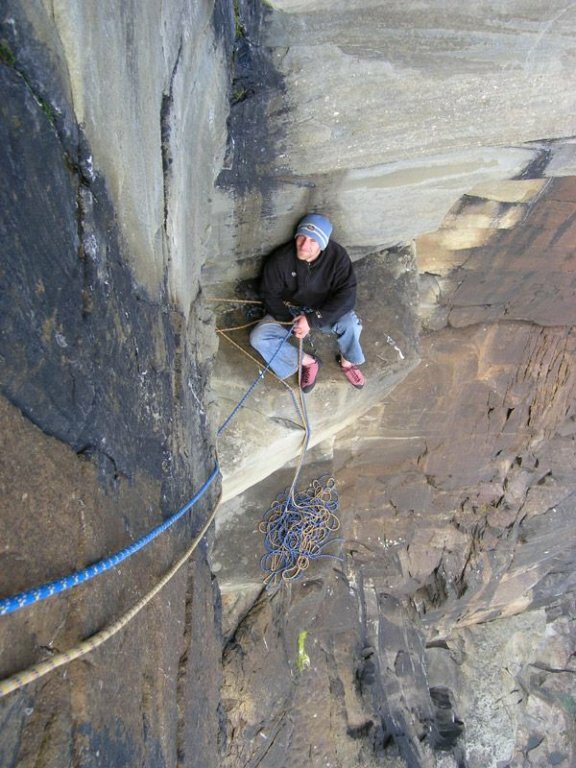 I repeated it as a second in 2014 and we both found it tricky in the lower section and strenuous in places, with the desire that gear could be better to stop a fall, hence the upgrade. You may be right with dropping the grade back down. I think I’d go with E2 5c and see what further ascentionists think. Ross I think Martin was referring to Kalessin not Glaurung ? ?